A public relations firm tasked with molding President Barack Obama’s legacy through the Barack Obama Foundation is owned by a man who attacked Obama for his "lack of American roots" and wrote that the-then senator was "not at his center fundamentally American in his thinking and his values." SKDKnickerbocker was hired by the Obama Foundation to handle marketing and communications. 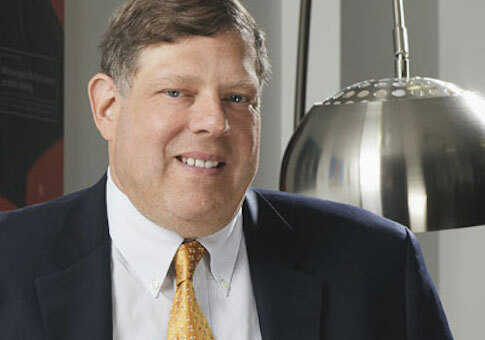 The firm was purchased last month by a private-equity firm controlled by Mark Penn, who was the chief strategist for Hillary Clinton’s failed 2008 campaign. Penn’s ownership of SKDK is not keeping Obama loyalists away. The most recent person from Obama’s inner-circle to join SKDK is Amy Brundage, who has been with Obama since 2007 and was most recently his deputy communications director. She will work on the firm’s Obama Foundation account, which is managed by Anita Dunn, the former White House communications director. Many in the Clinton inner circle of loyalists believe that there would not be an Obama Foundation if it were not for the failed campaign strategy crafted by Penn for Hillary Clinton that led to her 2008 defeat. Penn was "detested personally" on the campaign, according to John Heilemann and Mark Halperin’s Game Change. "They thought him arrogant and amoral, a detrimental force whose perniciousness was amplified by his inexplicably tight bond with the Clintons," they wrote. Much of Penn’s strategy was explained in a now infamous campaign memo he wrote in 2007 that underestimated Obama’s campaign and laid out plans to attack Obama’s "lack of American roots." "I cannot imagine America electing a president during a time of war who is not at his center fundamentally American in his thinking and his values," wrote Penn, who advised making an issue of Obama’s ties to the controversial Rev. Jeremiah A. Wright. Penn was believed to be behind many of the negative attacks used against Obama during the brutal primary fight. His negative attacks were called out by the Obama campaign during an appearance on Hardball, in which Penn pointed to Obama's use of cocaine multiple times even as he denied that the drug attack came from the Clinton campaign. Penn handled polling and was trusted by Clinton due to his work on Bill Clinton’s successful campaigns. He used his polling to win internal campaign power struggles and was criticized for sticking with a plan predicated on his strong belief that Clinton’s victory was inevitable. Disdain for Penn remains today in Clintonland. Many Clinton insiders said they would have no part in Clinton’s current presidential campaign if Penn were involved in any way. "I would do anything for Hillary," one Democratic operative told Mother Jones last year. "I love her. I think she’d be a great president. Anything. Except work with Mark Penn." Penn has no involvement with the current campaign, but it appears that he still had access to the Clintons following the 2008 election. According to documents made available by the U.S. State Department, Penn was in possession of Clinton’s personal email address that she used to conduct business during her time as secretary of state and assisted with official state department business. It also appears that the current Clinton campaign is taking his advice on how to appear as an "outsider" in the election even though she is widely perceived as the ultimate insider. It is unclear how involved Penn is with the SKDK’s work on the Obama Foundation. SKDK did not return multiple requests for comment on this story. The Obama Foundation was founded in January 2014 and will be a vehicle for Obama to continue the work he started as president. "Eight years is only the beginning," says the banner of the foundation site. SKDK was paid $230,436 by the foundation for its marketing work in 2014, according to tax documents filed with the Internal Revenue Service. The only larger expenses went toward fundraising and real estate consultants. The Obama Foundation also did not respond to a request for comment. This entry was posted in Politics and tagged Barack Obama, Hillary Clinton. Bookmark the permalink.